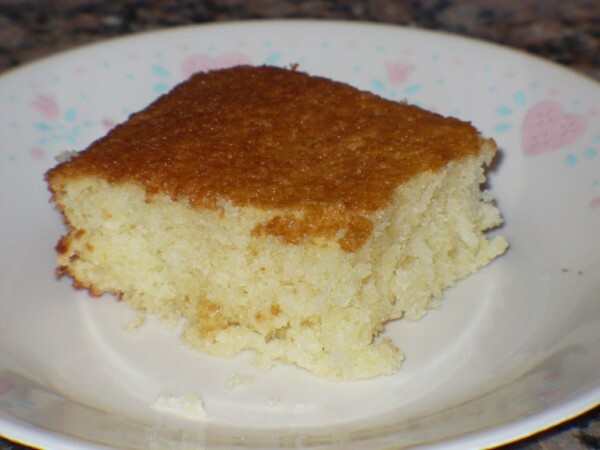 This is a very sweet cornbread and it's fluffy like a cake, not dense. It should be called Death by Cornbread for how much butter is in it. I grew up on this stuff. I think my mom got the recipe off a box of Bisquick in the 80's or 90's. Preheat oven to 350 degrees. Lightly grease a 9x13 baking dish. In a large bowl, beat the eggs then whisk in the milk and melted butter. Stir in dry ingredients until thoroughly combined. Pour into baking dish and bake for 30 minutes. Let cool 5 minutes before serving.